I had the same issue with a Samsung SyncMaster 940bw monitor. The first workaround is by removing any existing ICC or WCS color profiles that are been associated with all display devices or monitors. Else, you can also try to change the default color profile for your system’s monitor to sRGB IEC61966-2.1, simply by clicking on Add, and then select sRGB IEC61966-2.1 from the list of profiles installed on system. After adding, click Set as Default Profile button. Exit from all dialogs and reboot your computer, and the color problem on Windows Photo Gallery is fixed. If your system doesn’t have sRGB IEC61966-2.1 profile under the ICC Profiles, you can download the color profile from Adobe. Unpack the zip file, the right click on each of the .icc files in the RGB Profiles and CMYK Profiles folders (or simply just the one you need to use) and click “Install Profile” on context menu to install the color profile to system. This entry was posted in Random and tagged Photo Gallery, Vista on January 8, 2009 by afokkema. it. 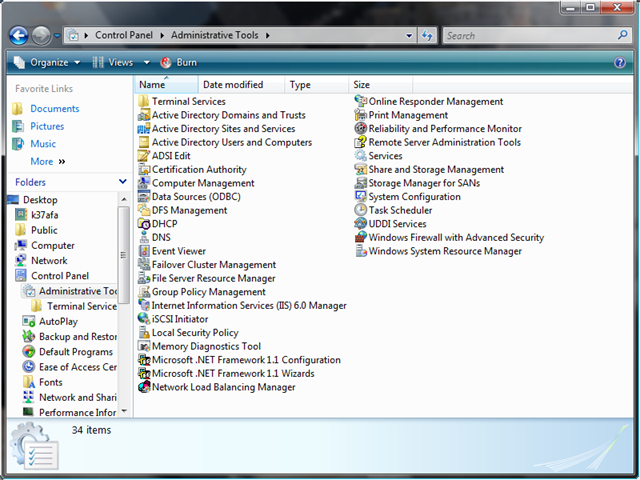 In this guide, you will learn how to reclaim disk space taken up by the Vista SP1 install. The vsp1cln.exe process is started. After running this tool, you cannot uninstall Vista SP1. This entry was posted in Microsoft, Windows and tagged Vista, Windows on September 29, 2008 by afokkema. 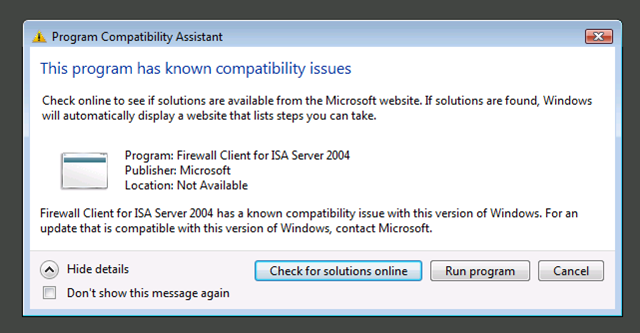 De volgende melding krijg je bij het installeren van de ISA 2004 Firewall client onder Windows Vista. Uninstall de standaard versie die bij ISA 2004 zit. This entry was posted in Microsoft, Windows and tagged ISA, Vista, Windows on September 17, 2008 by afokkema. Dit kun je doen door het onderstaande registry bestand te importeren. This entry was posted in Microsoft, Windows and tagged Internet Explorer, Server 2003, Server 2008, Vista, Windows, Windows XP on September 10, 2008 by afokkema. As more companies deploy Windows 2008 and Vista, it is crucial, or in my opinion, critical that this hotfix be applied to all Windows 2003 servers that may communicate with these operating systems. One of the main reasons is a new feature called TCP auto-tuning which makes use of RSS to expand and shrink the sizes of your TCP window to increase/decrease throughput based on current network load. This feature greatly increases throughput on your network, but if there is an underlying problem with the network card driver or any of these features between disparate systems, you may experience slower than normal network performance. The good news is that the Chimney feature is disabled by default in Vista/Windows 2008. This entry was posted in Microsoft, Windows and tagged Server 2003, Server 2008, Vista, Windows on August 29, 2008 by afokkema. Na de installatie van Windows Vista SP1 worden er een aantal MMC’s gedeïnstalleerd. Deed je op je Vista machine zonder SP1 nog Start – Run – GPMC.msc en je kun je GPO’s beheren. Na de installatie van SP1 gaat dit niet meer. Speciaal voor windows Vista zijn toen de Remote Server Administration Tools (RSAT) ontworpen. Download de RSAT versie voor jouw OS. 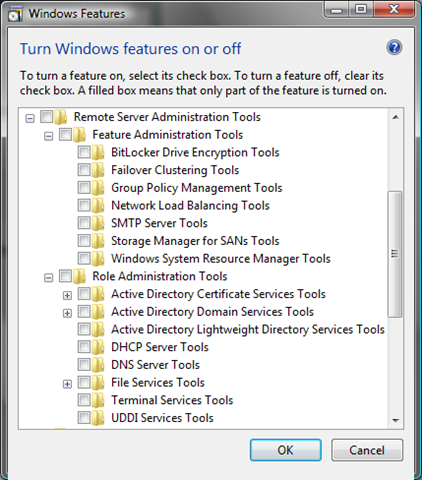 RSAT should not be installed on a computer that is running the Windows Server 2003 Administration Tools Pack or Windows 2000 Server® Administration Tools Pack. Please remove all versions of Administration Tools Pack from the computer before installing RSAT. In de Windows Features wizard kun je de verschillende tools inschakelen. 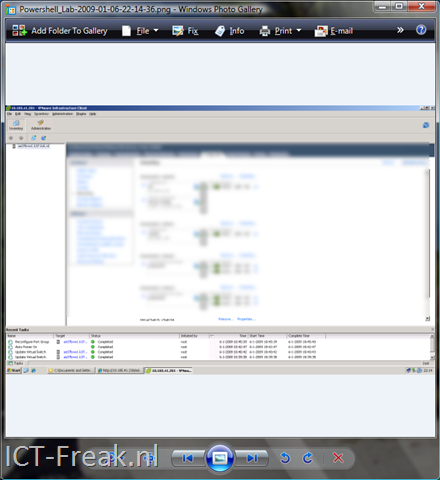 Je kunt ook Remote Server Administration Tools in zijn geheel inschakelen. 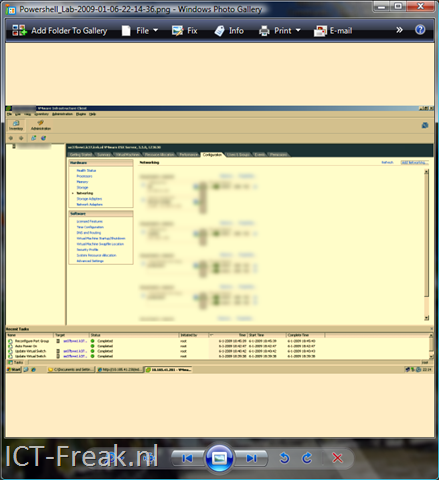 Nadat de wizard even bezig is geweest, zie je in de map Control Panel – Administrative Tools de nieuwe MMC’s. Vanaf nu kun je ook weer via Start – Run – GPMC.msc weer het management console starten. This entry was posted in Microsoft, Windows and tagged Vista, Windows on July 27, 2008 by afokkema.